Using knotting techniques learned while traveling and living in South America, owner & artist Amira Mednick's super cool take on the trendy friendship bracelet (and beyond) has definitely made my summer wish list! 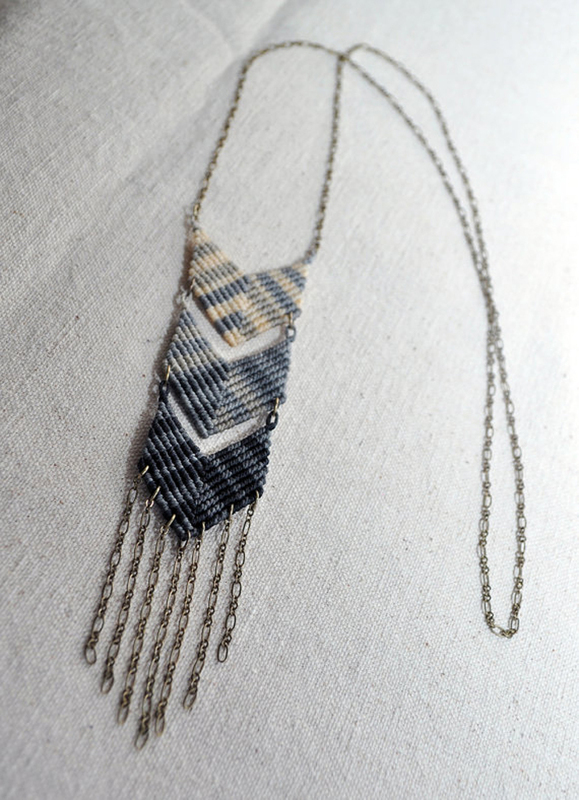 Her Triple Chevron Fade Necklace is by far my fave.....have you ever seen anything like it?! That necklace is amazing! And I bet it's really lightweight and easy to wear. I'll definitely keep checking her store for new stock!